Texture seems unnecessarily thick for a boxed drink and there is a noticeable amount of grain left on the tongue. 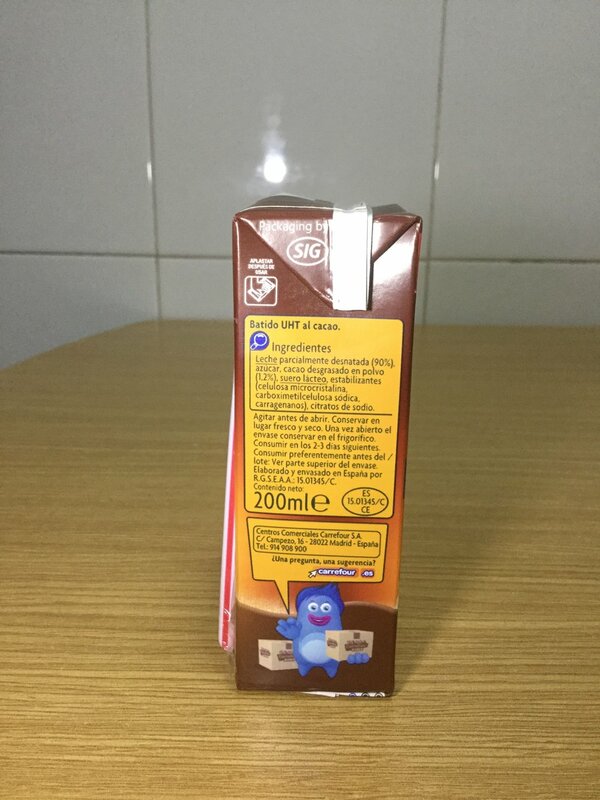 The cocoa taste is decent but fades quickly, and you are left with a dry-feeling mouth. 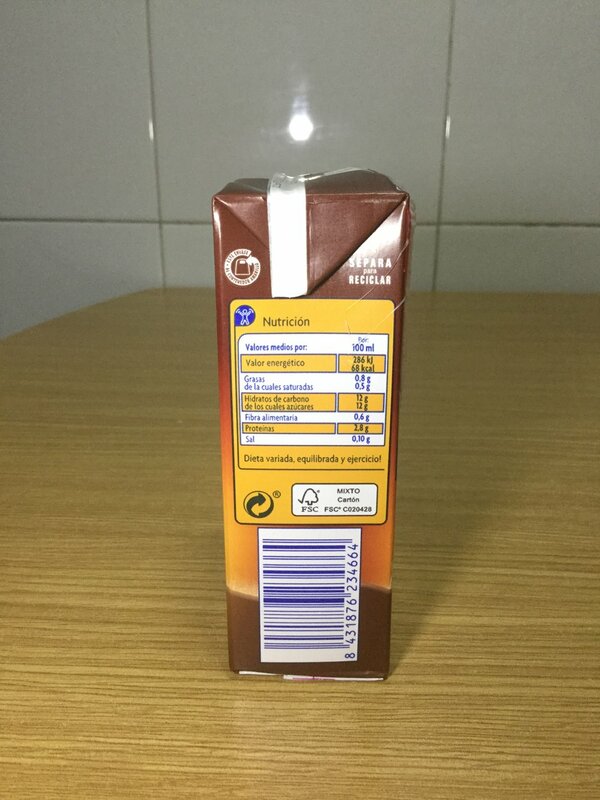 Partially skimmed milk (90%), sugar, defatted cocoa powder (1.2%), whey, stabilizers [microcrystalline cellulose sodium, carrageenan], sodium citrate.